WESTFORD, M.A. 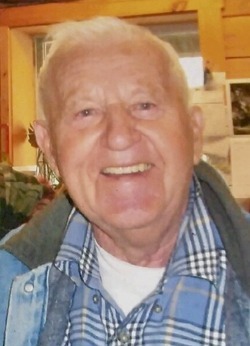 - Wasil (Varney) Daranchuc, Jr., a lifelong resident of Westford, died unexpectedly on March 2, 2018. He was the husband of Mary (Fisichelli). Born in Westford, Mass., June 2, 1927, he was the son of Wasil and Della (Sechovich) Daranchuc. Wasil attended Westford public schools. He served in the United States Navy during World War II at Pensacola, FL. Wasil worked for C. G. Sargent’s and sons of Westford, MA. as a foreman until his retirement. Besides his wife of 56 years, Mary, he is survived by a son, Paul Daranchuc of Hudson Florida; three grandchildren; Thomas, Eric, and Megan; as well as nieces and nephews. He is predeceased by his parents; a brother Peter; sisters Sophia Agey, Nellie Sechovich, Sadie Hosey, Antanina Hutcherson, and Annie Hartely. Family and friends are respectfully invited to attend a graveside service on Friday morning, April 20, 2018 at 11 o’clock at the Russian Brotherhood Cemetery, Patten Road, Westford.